I can’t believe how quickly this little album comes together. Close To My Heart has two new mini albums called Instalife albums – the perfect place for all those photos we upload to Instagram… but you don’t have to use Instagram to enjoy creating one of these albums. Next choose your Instalife cards. 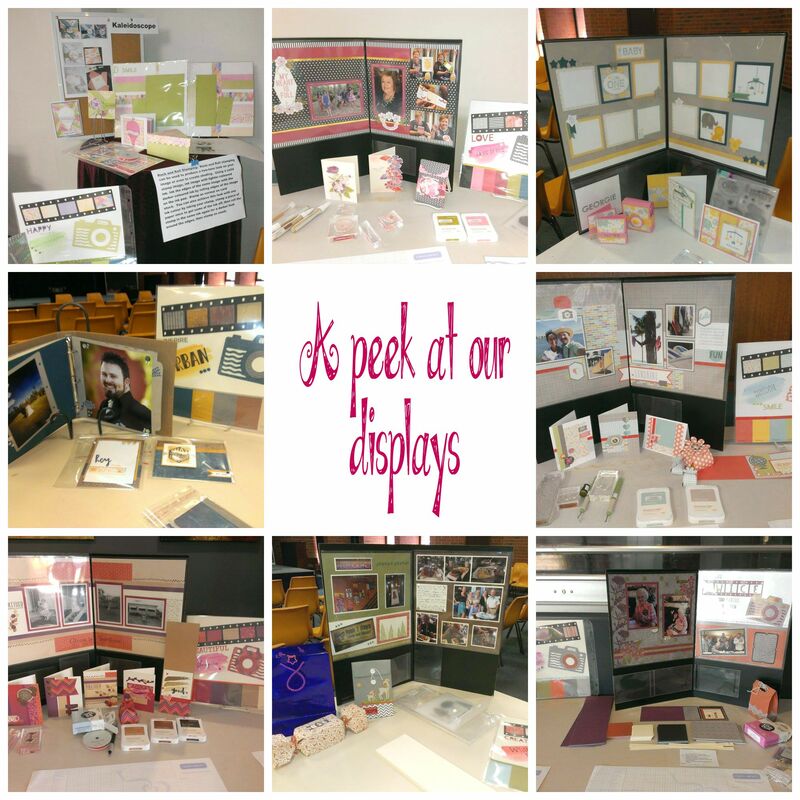 There are 10 – 4″x4″ Printed cards, 6 – 4″x4″ Die Cut cards, 30 – 2″x2″ Printed carfs and 10 – 2″x2″ Die Cut cards. Some with words, some with pictures and some with patterns. They are perfect to accent your photos, add journalling or provide frames for photos. 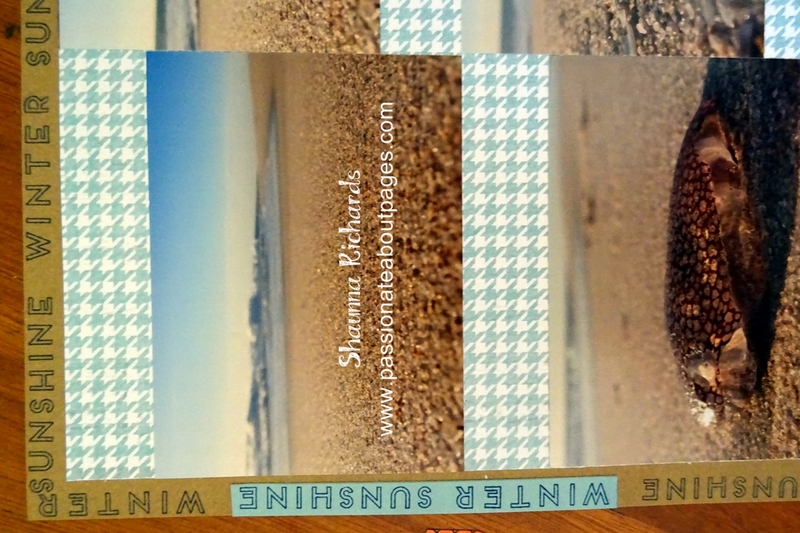 Once your photos are printed you simply slide them in to the Instalife Protectors. I have an Instalife project class coming up 10am-noon on Saturday, October 10. $40 gives you an album, Instalife cards and 20 protectors plus 4 Cricut cut page dividers and my assistance. Full details are in my latest newsletter. Like to receive regular updates of my classes and bundle offers via email? Click here and enter your details to be added to my mailing list. I love this layout from the Zoe Workshop on the Go. It provides a big canvas for photo placement. The layout comes from the Magic How To Book (9040). It’s called One Way Mirror. These photos were taken when we were in Hawaii for the Close To My Heart Incentive Trip. 80 of us took a sunset cruise and got to watch the lights come on in Waikiki. Everything had a lovely pink glow. When we looked out the other side of the boat, the sun was putting on a show for us. The original layout has just one photo on the left hand side but it is super easy to adapt to hold more. I also shifted the placement of the title box on the right hand page so I could squeeze an extra photo in. I liked this layout so much I made it into a card too! 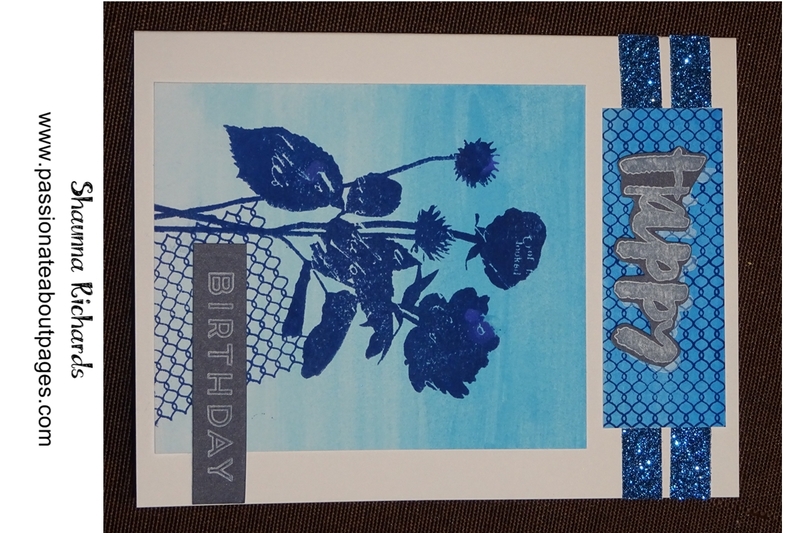 Using your scraps and the assortments you can whip up this card in no time. I haven’t added a sentiment yet because I’m not sure who will be receiving this one! The Zoe Workshop on the Go is just $44 and is valued at $63. There is enough paper in the pack to make 4-8 pages PLUS 4-8 cards from the scraps AND you get to keep the stamp set forever. That’s a bargain! Visit my website www.shaunnarichards.ctmh.com.au to order your Zoe Workshop on the Go. 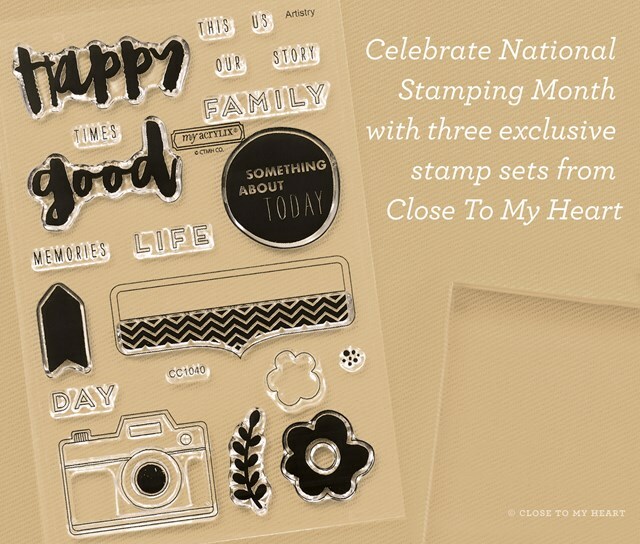 We celebrated National Stamping Month along with the launch of the CTMH Annual Inspirations and Holiday Expressions catalogues last Saturday. Our event was a Paper Picnic attended by 35 ladies. A Paper Picnic is a relaxed day spent creating with paper. 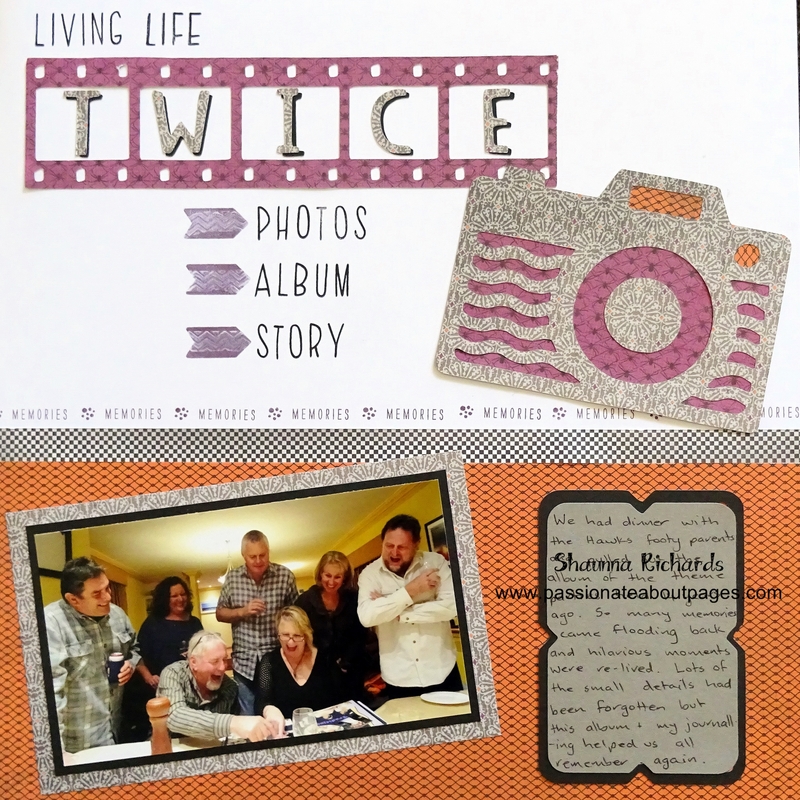 Some scrapbook , others make cards or create mini albums and gifts. Everyone brought a plate to share for lunch, a bright happy smile and a willingness to try something new. We began the day making Carborders – one for each of the new paper collections. And here are the Carborders we made. Not sure what a Carborder is? Read this post for an explanation. I had 7 consultants helping at this event and it was enjoyed by all. I love the way consultants in my team and area are happy to work together, sharing the preparation and running of our all day events. They bring me such joy! To cap off a fabulous day of sharing and creating, our raffle and donations raised over $400 for Operation Smile! A BIG thank you to all the ladies who contributed to the day. You have put a smile back on the face of a child suffering cleft lip and palette. Carborder Buffet Classes run once a month. Sign up for my email newsletter here. It will keep you up to date with classes I am offering in Perth, West Australia. 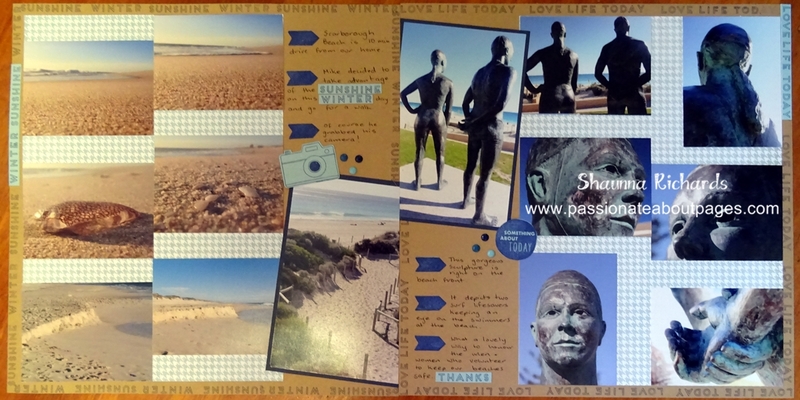 Australasian National Stamping Month Blog Hop – Hello Life! 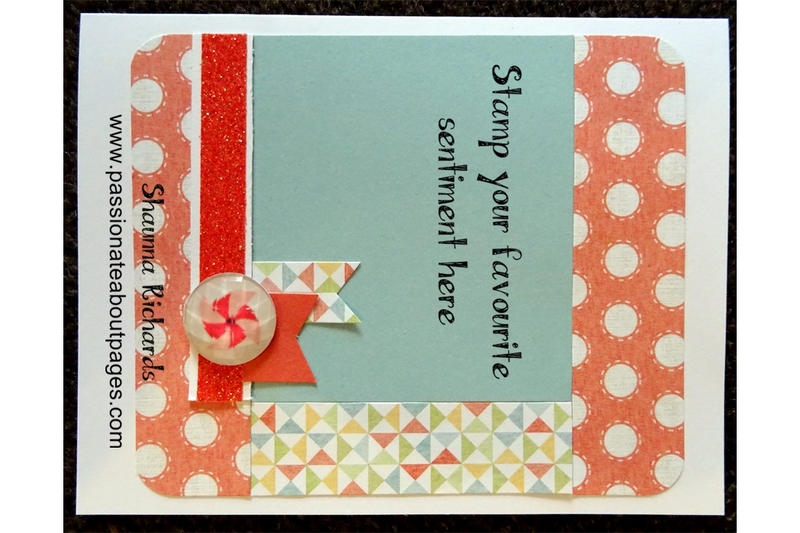 Welcome to the National Stamping Month Australasian Blog Hop. This is a circular hop. 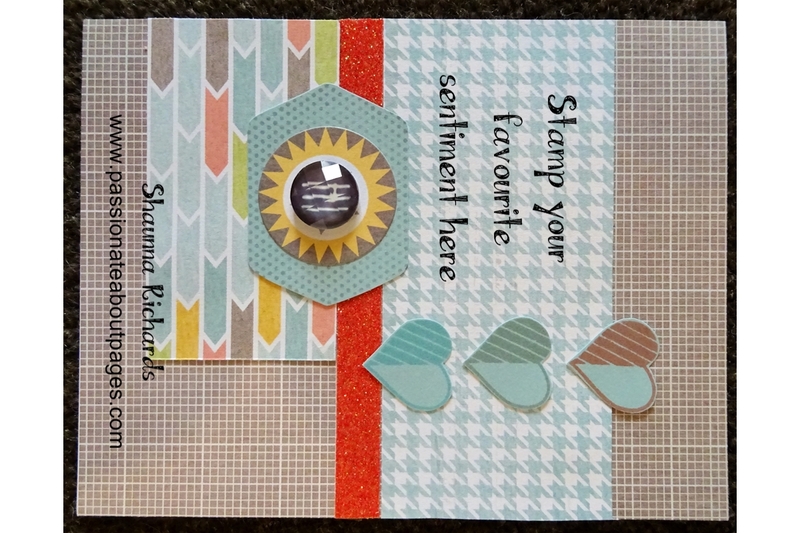 If you arrived from Denise’s Blog, Scrap Stamp Share, you are in the right place. Simply read through this post and click on the link to the next blog at the end of it. Keep reading and ‘hopping’ until you find yourself back where you started from. 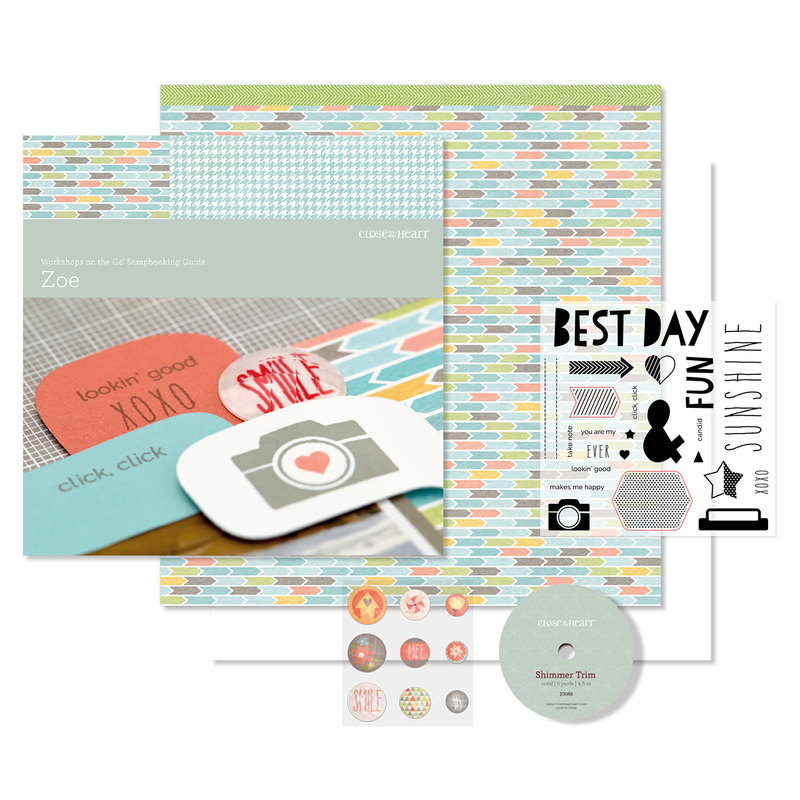 Each blog will showcase a project featuring the fun Hello Life stamp sets which are only available this month. I used stamps from all 3 sheets for my layout. A girl likes to have choice! The small words and images on the Hello Life stamps are perfect for pages with LOTS of photos. 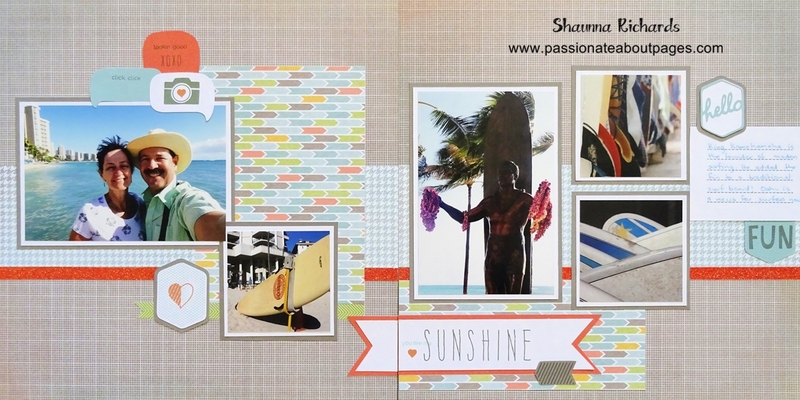 ‘Winter Sunshine” was repeatedly stamped around all 4 edges of the Desert Sand cardstock to create a border. One title on Glacier helps it stand out. Use stamps as bullet points for journaling. The arrow and circular stamp, along with the camera on the opposite page teamed with a few Blue Dots (Z3122) are the only decorative elements on this layout. These are my husband’s photos and he doesn’t like too much ‘fluff’ distracting the eye from his shots! Available only during the month of September, these exclusive C-size My Acrylix® Hello, Life! stamp sets can be purchased for $21 AUD each! Or, for an even better deal, you can purchase all three for only $53 AUD —a savings of $10 AUD. They also count toward your qualifying purchase to enjoy the Stamp of the Month for just $7.50. Place your order with your CTMH Consultant. Did you like this layout? I’d love you to leave a comment for me before you click on the underlined link and move on to Leah’s Blog, Cameron’s Corner, to see what she has designed for you. I had my first play with our new Water Colour Paint set today and it was FUN! I have opened the lid of the paints several times but I’ve been too scared to have a go. After chatting to a couple of consultants at our state training day yesterday I was encouraged to just try something small and easy. 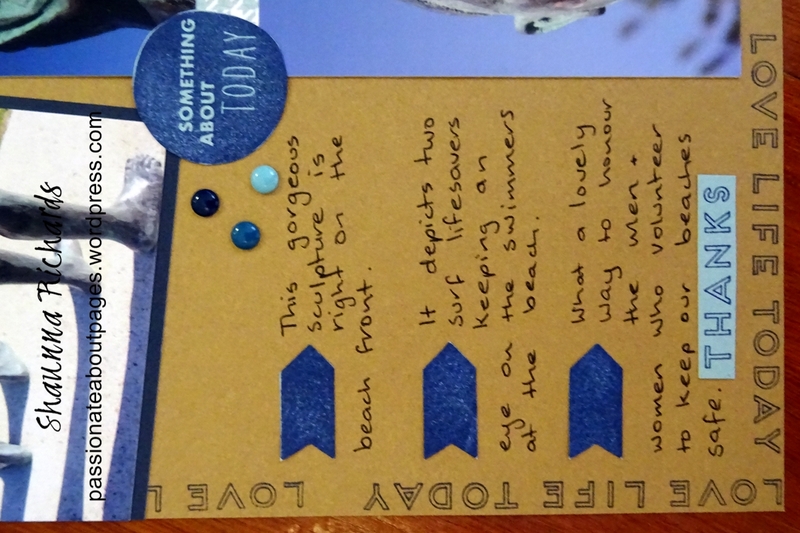 A card is a good first project when trialling new products. I simply painted 3 shades of blue across a piece of white daisy cardstock, let it dry, stamped on top of it and then trimmed it down. It’s not perfect but I quite like the effect. 1. If the water colour paint isn’t drying fast enough for you, use your heat tool or hair dryer to hurry it along. 2. If you use said heat tool the paper will curl so you will need your Bonding Memories glue pen to stick the paper to front of the card. 3. Don’t move the wet brush over your project once you’ve stamped because a drip will land on your flower. Click here for details of the Hello Life stamps and here for the Stamp of the Month. 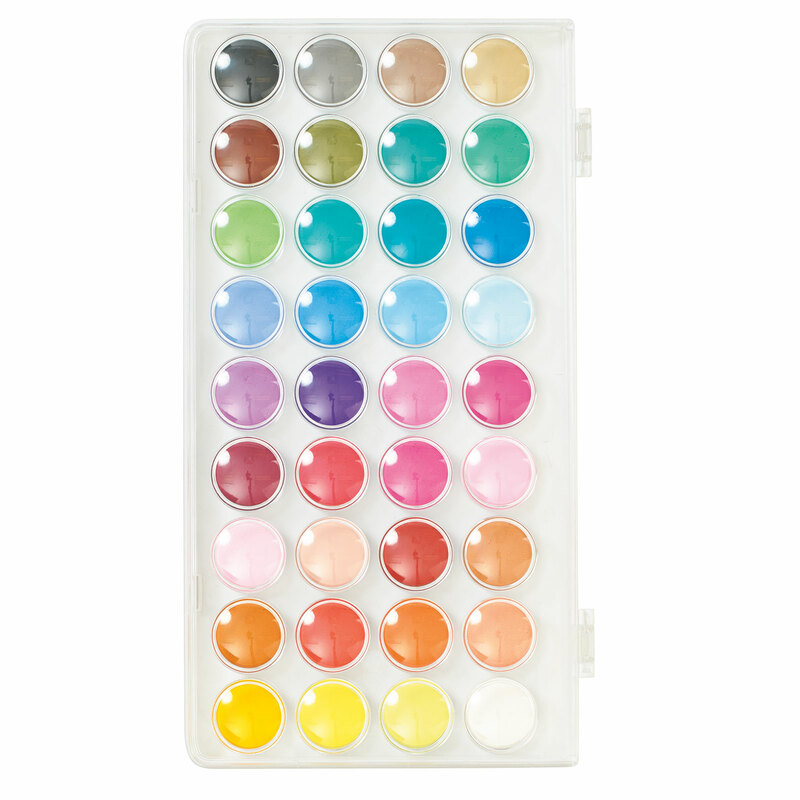 Check out the Watercolour paint set here. Welcome to the Nevermore Australasian Blog Hop. This is a circular hop. 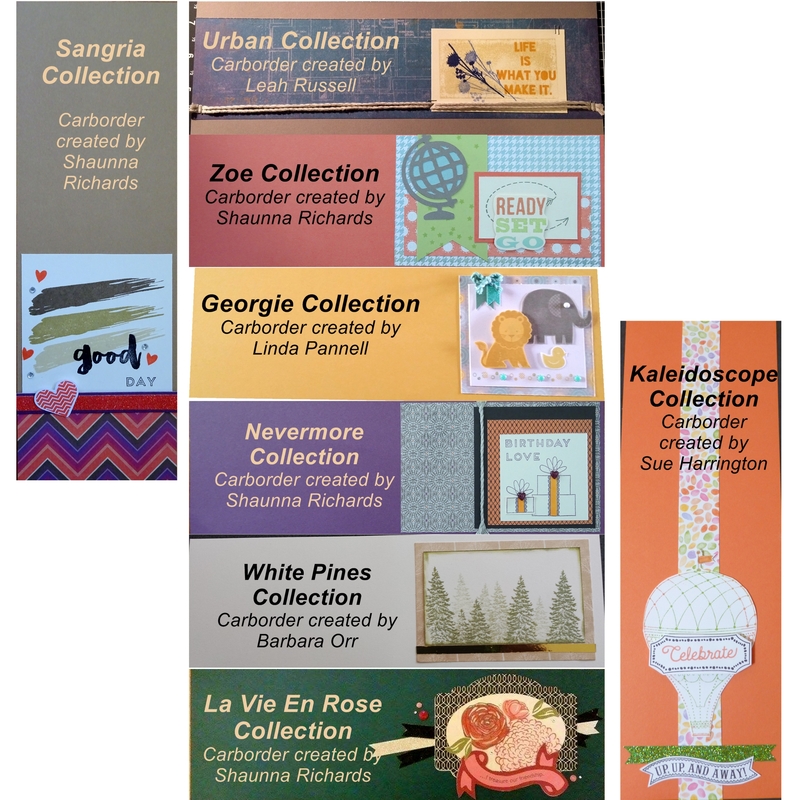 If you arrived from Vandra’s Virtual CTMH Craftroom you are in the right place. Simply read through this post and click on the link to the next blog at the end of it. Keep reading and ‘hopping’ until you find yourself back where you started from. Each blog will showcase a project featuring the NEW Nevermore collection which is only available through until the end of the year. Here is my page. We were having so much fun at this dinner that I only remembered to take one photo! When I printed it I was so thrilled to see the joy being shared as everyone looked at an album featuring the antics of the parents of our son’s footy team 14 years ago. We had the best parties (without the kids) back then. The stamps are from this month’s Special Offer Hello Life Scrapbooking stamp set (CC1040) . The arrows were ‘kissed’ by the chevron stamp. Nevermore papers, assortment and compliments can be ordered from your CTMH Consultant until the end of December when they will retire. Did you like this layout? I’d love you to leave a comment for me before you click on the underlined link and move on to Tanya’s Blog , Happy Papercrafting , to see what she has designed for you. The Zoe Workshop on the Go features colours in our Whimsy range. They are soft and help to make your photos ‘pop’ on the page. 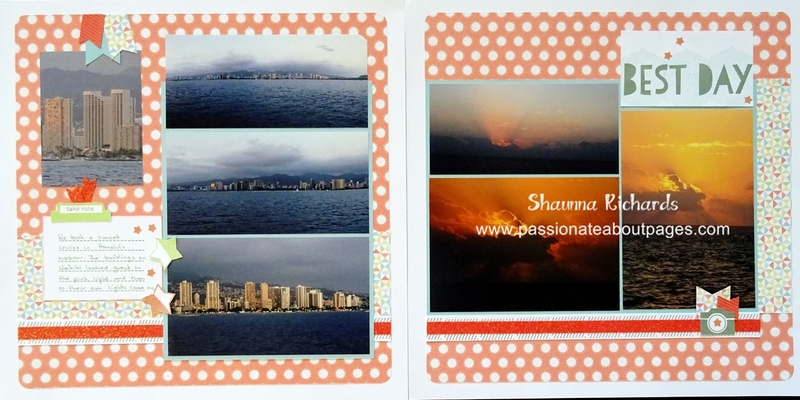 This page highlights our time in Waikiki, Hawaii as part of the Incentive Trip I earned for Mike and I in February. It’s where surfing came from! Here’s the card I made based on this page design. I used my scraps along with the Assortments that come in the kit. It was super fast project. Workshop On The Go kits are a bargain. You receive $63 worth of product for just $44. The pack contains enough supplies to create 6-8 pages AND 6-8 cards and you have the stamp set for ever. Everything co-ordinates too! Order your Zoe Workshop on the Go kit here. Take a look at this month’s Hello Life stamps while you are there. They are only available this month. 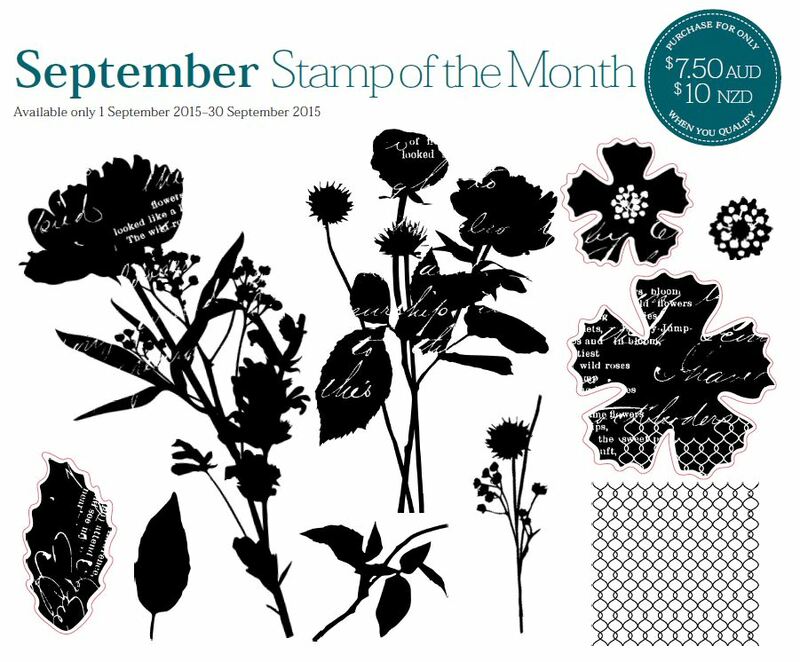 Don’t forget, if your order total comes to $75 you can choose the Paper Garden stamp of the month for just $7.50 this month. That’s a savings of $19.50. 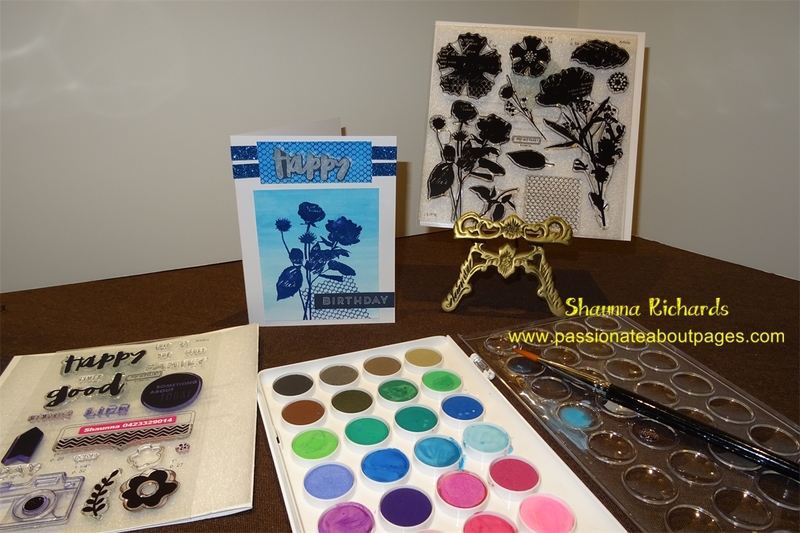 Click here to check out the blog hop we featured this stamp set in earlier this month.